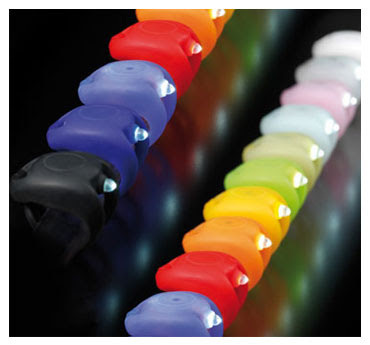 Customers at the River store are hot for the Knog Frog, a little light that offers blinky goodness to keep you visible. It looks cool yet is also functional and durable, with a super-bright LED that glows either white or red. If lights are to see and be seen, the Knog Frog ($11.99) is more in the "be seen" category -- it won't light up the whole road, but it will catch a driver's eye.